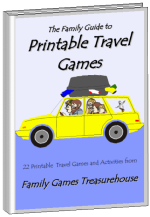 With so many great games to choose from on our website, we have included this Family Games Index to help you locate the best ones for your particular needs. You can search alphabetically or by category - age, number of players or type of game (card games, board games, etc.) You can even search for non-competitive games. or you can click on any of the letters below to go directly to that listing. 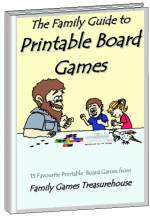 Family Games which are suitable for particular ages. 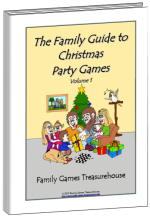 On this website, we have divided the games into three age groups. (a) Young Children are those who cannot read letters and/or numbers very well, and who have limited ability in thinking skills. Generally, this describes children less than about 5-8 years old. (b) Adults and older children are those with reasonable reading and number skills, and who have ability in problem solving skills (usually older than about 5-8 years old). (c) All ages means these games are suitable for younger children while still providing a challenge to children and adults. 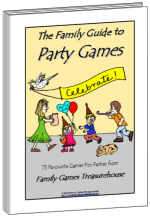 Family Games which are suitable for a particular number of players. 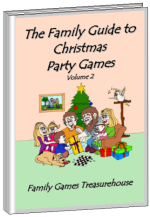 Family Games which are non-competitive.